When maurices set out to build a new headquarters in Duluth, MN, their 450 associates were spread across numerous buildings, including the company’s original store location established in 1931. 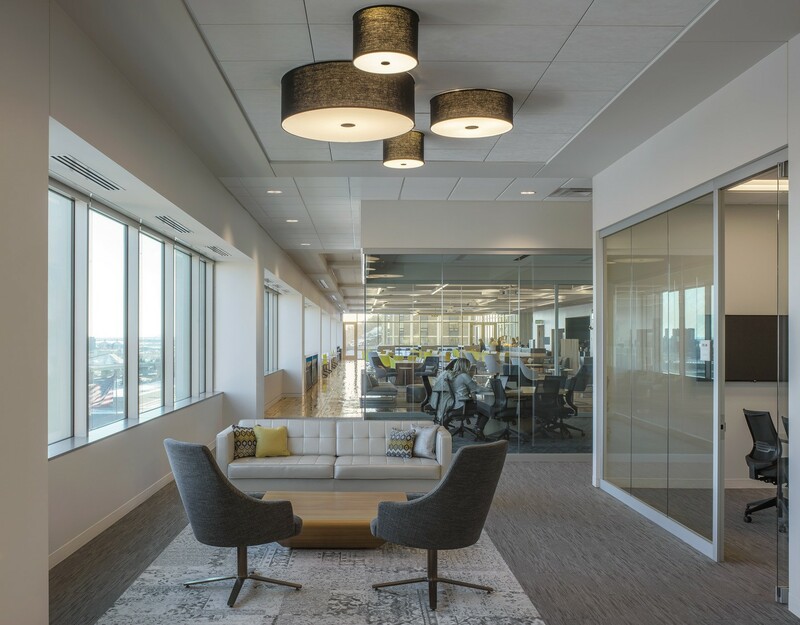 The new headquarters consolidates all associates with room for future growth to 600 employees. People—associates and their target customer, Liv—became a central driver of the design. 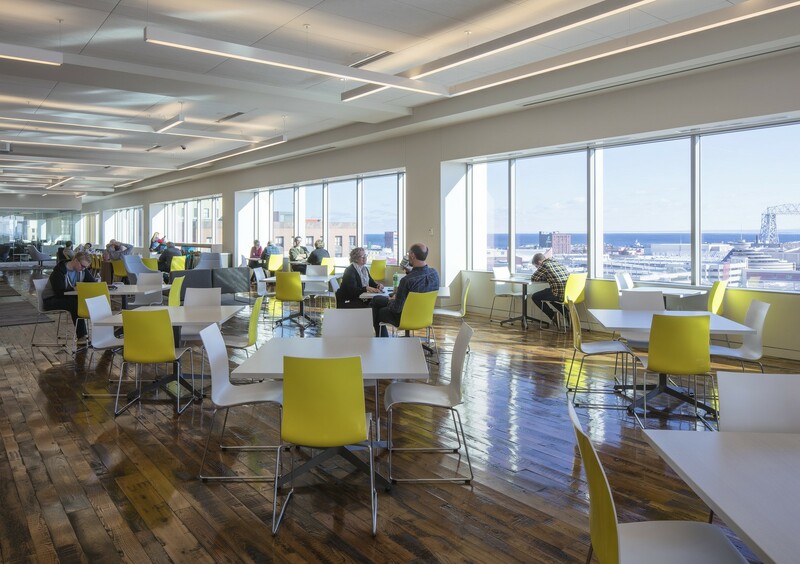 The 200,000-SF workplace fosters employee collaboration with opportunities for formal and informal interactions. 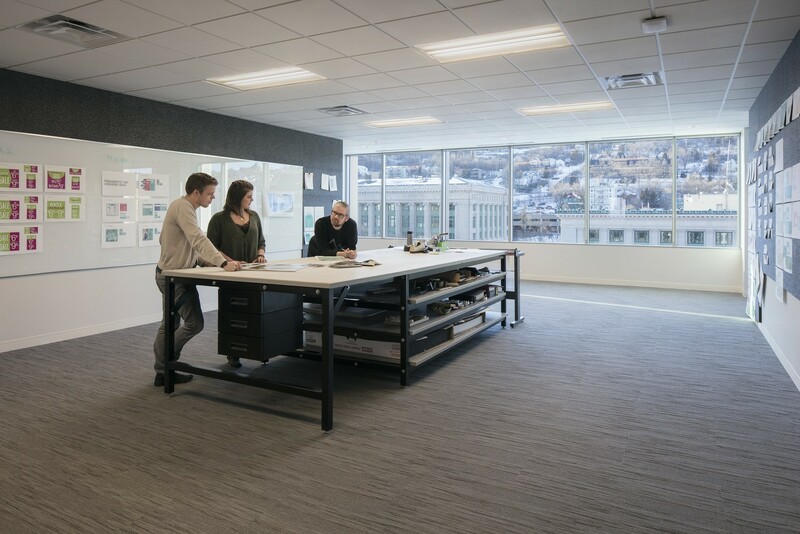 Working in close collaboration with maurices, the design team created a space that serves as the backdrop to their lively and always changing work. The open office workspace is primarily neutral, allowing large-scale supergraphics, garments and accessories to become the art in the space. Front porches and the family room provide bursts of color, pattern, texture, music, and activity, supporting the collaboration and social interactions that occur in these spaces. Each floor has its own unique character, immediately evident from the moment a guest steps out of the elevator with graphics featuring Liv. 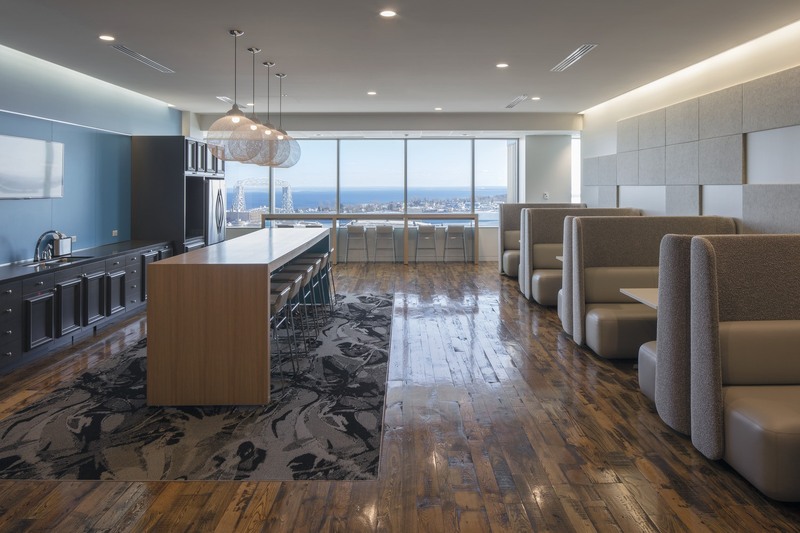 This character is strengthened by the color palette in the front porches, colors that are continued into conference rooms and accent walls in the open office. 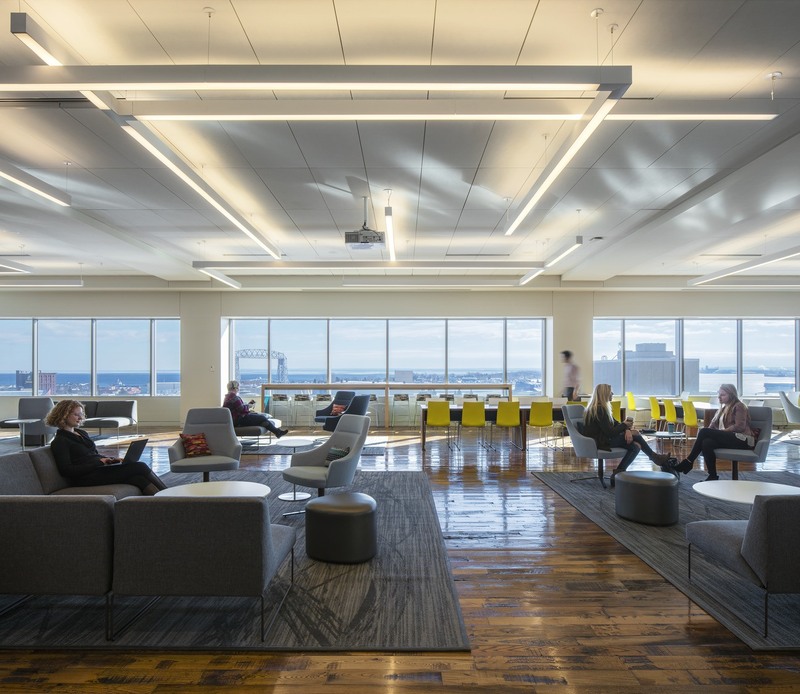 The maurices associates are thriving in their new home and have embraced this dramatic change in their workspace, which will continue to serve them as they grow in the years to come.